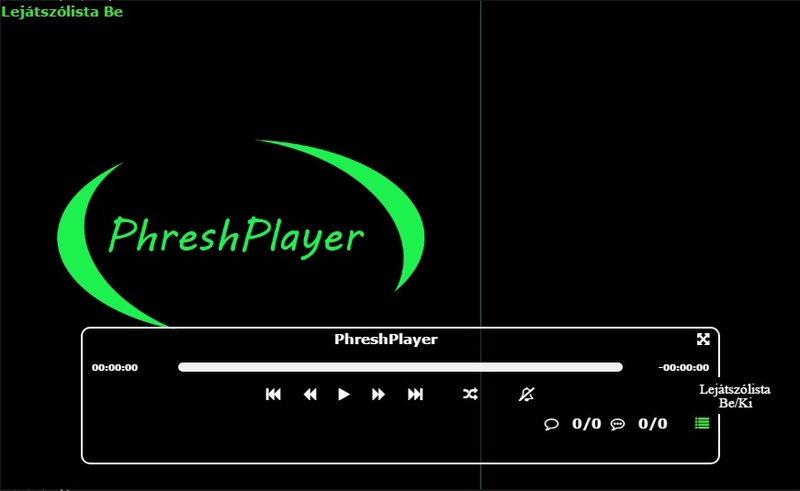 Inspired by mpv player (with old hud) - I&apos;m really liked it.. :( and PotPlayer. I&apos;m sick of so much bullsh.t features in modern mediaplayers like kmp, vlc, etc. Filters, useless view modes and more..
At last time I used PotPlayer but at this time is overhyped too. The lot of extra features is it would be awesome, but finaly the program can&apos;t do that normally what it created first. So I make my own.. I don&apos;t planning more features to the updates (exept audioTrack support/changes if will supported..), only neccessary bug fixes. 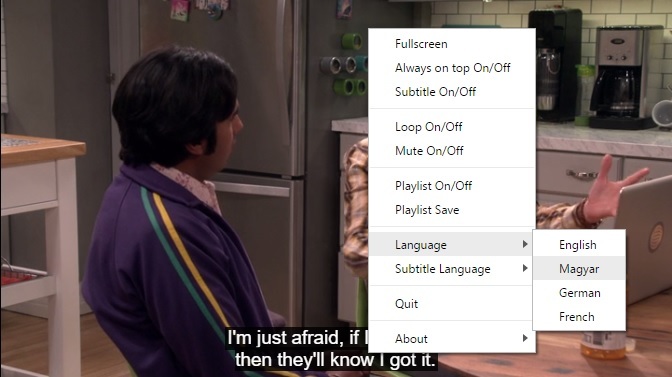 PhreshPlayer knows read the &apos;.srt&apos; subtitles also. Still I see today &apos;.avi&apos; and &apos;.wmv&apos; files, so..
.. if you drop an (or more) &apos;.avi&apos; or &apos;.wmv&apos; file into the player, then convert files to &apos;.mp4&apos; automatically (and add it to playlist also automatically after conversion). WARNING! High CPU usage while converting. The conversion unfortunately work only Linux and Windows. As far as I know, not works on MacOS and the CPU limit works on Linux only. level 1 and level 2 files will append also to the playlist if you drop in at the same time, but level 3 file in Folder2 won&apos;t.
Unfortunately I can&apos;t test on MacOS, so if you want better support for Mac, buy me a MacBook.. :D .. Or write to me the problems and deficiency what you found and i&apos;ll try to fix it. 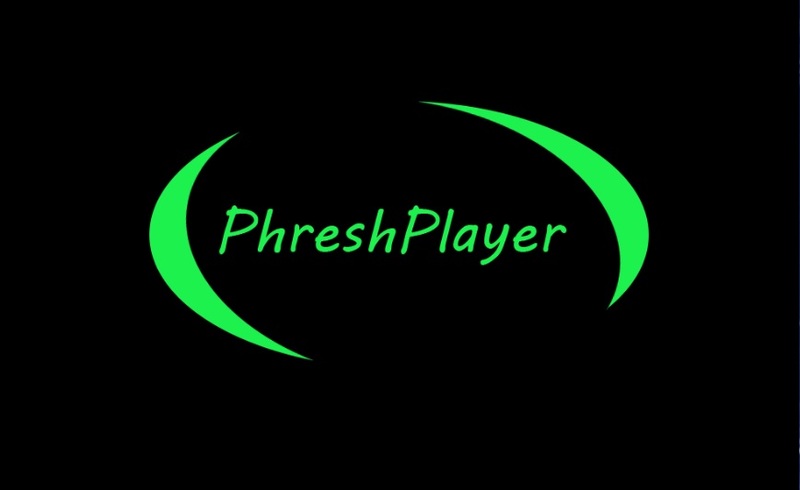 Copyright (c) 2018, Krisztián Kis - Phresh-IT. All rights reserved. Clone or download the repo and navigate in console to the program&apos;s root folder. If you like my work(s), please buy me a coffee or support/donate me. Contributions, issues(problems, ideas) and donates are welcome.